The Future’s Arrived! Rejoice, It’s Jetpack Delivered Weiner Dogs! Oscar Mayer’s one of the US’s oldest purveyors of hot dogs, cold meats and bacon, but it’s taking a very modern, high-tech approach to its latest marketing campaign. The brand has just unveiled a new spandex-clad super hero, known as the Super Hotdogger, who flies about in a jetpack and, the company claims, “stops at nothing to deliver better hot dogs to the hands of hot dog lovers across America”. 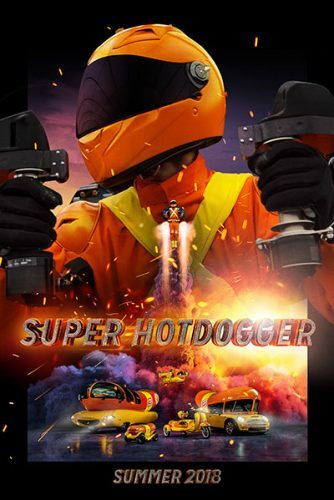 As the TVC below reveals, complete with his Weinermobile (a sort of Batmobile shaped like hot dog thing) Super Hotdogger can deliver the best tasting hotdogs anywhere, anytime to hungry frankfuter fans. Commenting on the campaign, Oscar Mayer’s brand manager Matt Riezman said: “There’s something iconic and exciting about the sight of a JetPack in flight. “The vision is representative of America’s superhero fascination, and we like to think Super Hotdogger is a superhero on par with the classics.